• Australian households have the fourth highest debt levels in the world after Denmark, The Netherlands and Norway. • The ratio of average household debt to income has almost tripled since 1988 from 64% to 199.7% of annual disposable income. • Average debt levels are $4,181 per person for credit card balances and $18,409 for car loans. Did you know if you are a prospective home buyer and have ‘average’ levels of accumulated debt it could affect your borrowing power by almost $100,000? With the median Australian house price at $818,4164 what impact might this have on your home ownership dreams? • Is your debt growing faster than your assets? 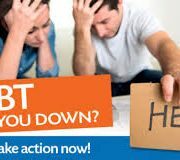 • Are you concerned about your debt situation? • Are you struggling to make your monthly repayments? • Does it always seem like your bills amount to more than your wages? NOW – before it’s too late. In the past lenders offered credit cards, with pre-approved limits, without thoroughly checking credit histories or capacity to repay. With debt levels on the rise the government is currently reviewing credit card rules – there is a push for lenders to assess suitability based on a consumer’s ability to repay within a reasonable period. How have times changed? In the past we saved up or used the lay-by method, ie we used money we already HAVE for items we wanted. Now, as an ‘instant gratification’ society with an abundance of credit at our finger tips we are tempted to use it without considering future consequences. Little wonder many people experience high levels of debt. • You think it is unlikely you will be able to repay your existing debt with your foreseeable future income. • You have multiple credit cards. • You are no longer paying the full balance of your debt each month – you just pay the minimum amount. • You arranged for more credit cards (or a personal loan) to help pay off the other cards. • You added a store card(s) because there was no room left on the credit cards…. Eventually your repayments start to approach – or even exceed – your income. For some of us it may be too late for budgeting because the debt level is already greater than your income and there is nothing that can be done. In this instance, debt consolidation may be an option for you. This is when you take multiple debts (where the majority of the debt has a much higher interest rate) and consolidate the debt into one loan with a lower average interest rate. Generally most people opt for refinancing against their home (using existing equity) as it has the lowest interest rate. For example, your home loan rate may be 5.0% or even lower as opposed to a personal loan that might be 10.95% or higher (definitely lower than most credit cards). month to go towards the payment of your debt. flow can be impacted favourably. that leaves over 47% of us (or 5.1 million people) unlikely to have enough put aside to live comfortably in our retirement years. However, the story it tells for single people is even more disturbing with claims that only 22% of single women and 31% of single men can expect a comfortable retirement. In 2017 the superannuation balance required for a comfortable retirement was estimated at $640,000 for a couple and $545,000 for singles. This figure assumes the retiree(s) will draw down all their capital and receive a partial age pension. Based on 2016 figures the average superannuation balance for a woman at retirement is $231,000. For men it is $454,000 – still significantly short of the required threshold. You can see why singles, particularly women, may find retirement more financially challenging than others! Is the age pension important? The answer? VERY. Without it, only 20% of couples, 17% of single males and 9% of single females could afford a comfortable retirement. As our policy makers struggle with the costs of supporting both present and future ageing populations, what will happen to the age pension? A heavy reliance on the pension may be to your disadvantage. Of course prior to compulsory super guarantee contributions, people expected that retirement meant living on the pension. So what has changed? • Living longer – with women on average living longer than men. • Healthier and therefore more active. Longevity and good health have created a ‘new vision’ of our retirement lifestyles. Lower super balances are certainly a risk for single women. The imbalance between women and men is usually due to factors such as lower incomes, time out of the workforce caring for families and part time work. Renters will need more retirement savings to cover the cost of rent. A female retiree may also be paying rent for longer. Divorce after 50. 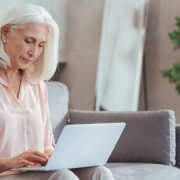 Divorce at any age can set you back financially but the older you are the less time you have to replace what was lost in the division of assets. This can significantly impact a previously well planned retirement. • Become financially confident. Educate yourself about finances. Know what assets and liabilities you have and plan for your future goals. Having goals helps you make better financial decisions. • Manage your debt. Spiralling debt can derail your financial goals. If debt becomes a problem take action to get back on track sooner rather than later. Don’t be embarrassed – ask us how! • Learn about investing. You don’t need a lot of money to invest. Consider starting small and add to your investments over time. • Boost your super. Consider making extra super contributions such as salary sacrifice. Seek advice from your accountant and financial planner first. Think you are too young to worry? generations will live even longer than baby boomers. Australian government recently passed a law that will delay the introduction of the 12% super guarantee until July 20254? That’s 7 years later than the date set out in previous laws! Who knows if it will change again? Whether you are a couple, single, male or female the question is: will your super balance be enough in retirement? If the current generation is any guide – probably not. • The mortgage broker channel works for all Australians by driving competition, which helps to make interest rates more competitive for everyone. It has contributed to a fall in lenders’ net interest margins of more than three percentage points in the past 30 years. 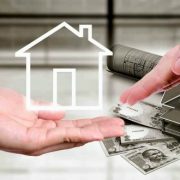 • Mortgage brokers bring competition to the mortgage industry by improving access to lenders that are not major banks or their affiliates. The share for these lenders increased from 21.4 per cent in 2013 to 27.9 per cent in the past four years. • The average mortgage broker has access to 34 lenders and uses an average of 10 lenders on their panel, bringing more choice to Australian home buyers. • Without mortgage brokers, smaller lenders would need to expand their branch footprint across Australia with an additional 118 branches each – on average – to maintain their current market share. • More than 90 per cent of mortgage broker customers are happy with their mortgage broker. • More than 70 per cent of mortgage brokers’ business comes from existing customers. • Mortgage brokers arrange more than half of all home loans each year, and this number continues to grow. • Three in 10 mortgages arranged by mortgage brokers are in rural and regional areas, improving access to home lending for rural and regional Australians – in locations where there may be few or no bank branches. • Mortgage brokers help first-home buyers enter the housing market. Around 23 per cent of broker customers are first-home buyers and the ABS estimated that FHB’s accounted for around 18% of all housing finance in November 2017. • The mortgage broking industry contributes $2.9 billion to the Australian economy each year and supports more than 27,100 (full-time equivalent) jobs. • Mortgage brokers have an average of 13.8 years of industry experience helping Australians finance their homes. 36 per cent have another diploma or certificate qualification. 40 per cent have an advanced diploma or bachelor’s degree. 24 per cent have post graduate qualifications. • Brokers that are sole traders earn an average income after costs and before tax of $86,417.